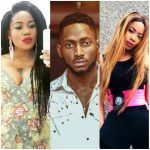 Big Brother Naija’s ‘Double Wahala’ winner, Miracle says he is not dating fellow ex housemate, Nina claiming they are not in love. 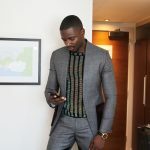 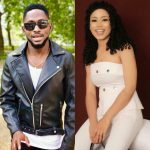 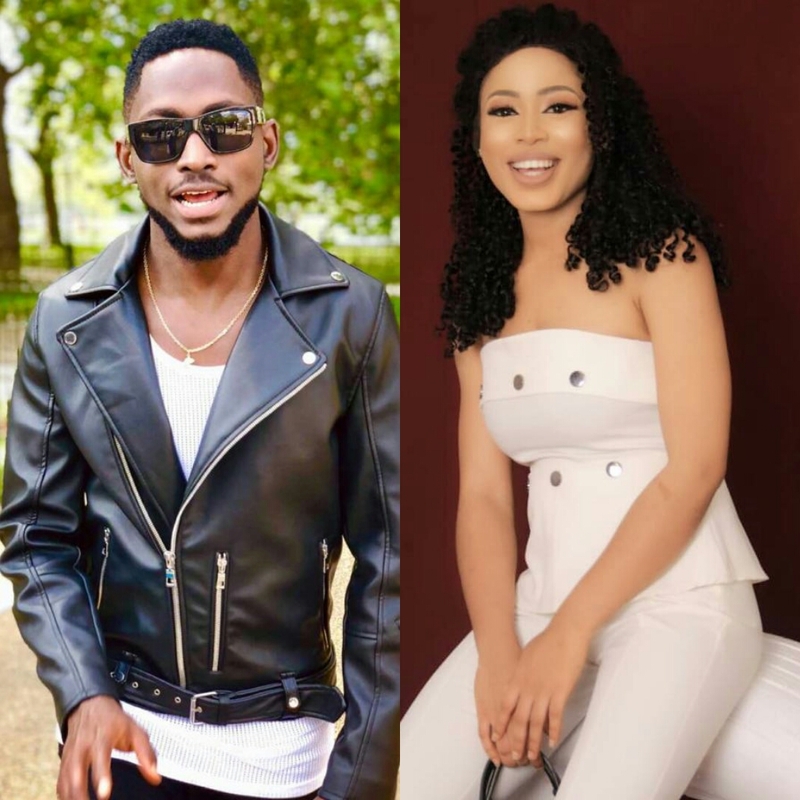 Miracle cleared the air on their relationship after he came under heated bashing on social media when he posted a photo of him having fun with another woman who he later revealed was his cousin. 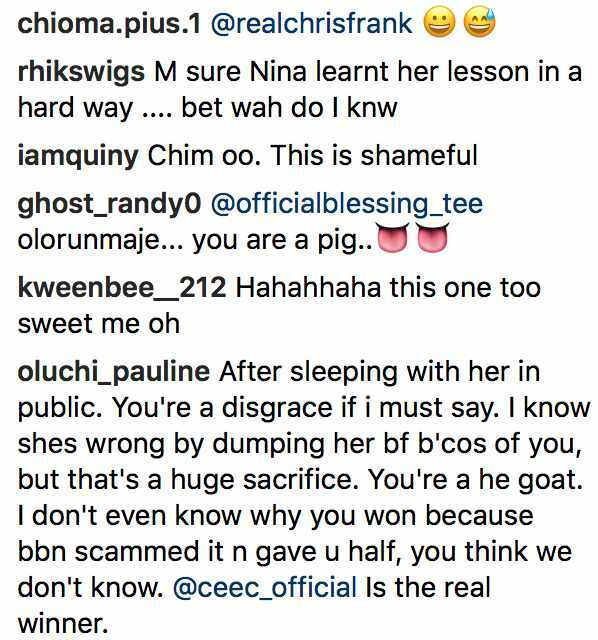 Before nko.. after getting 50 million naira, who is Nina? 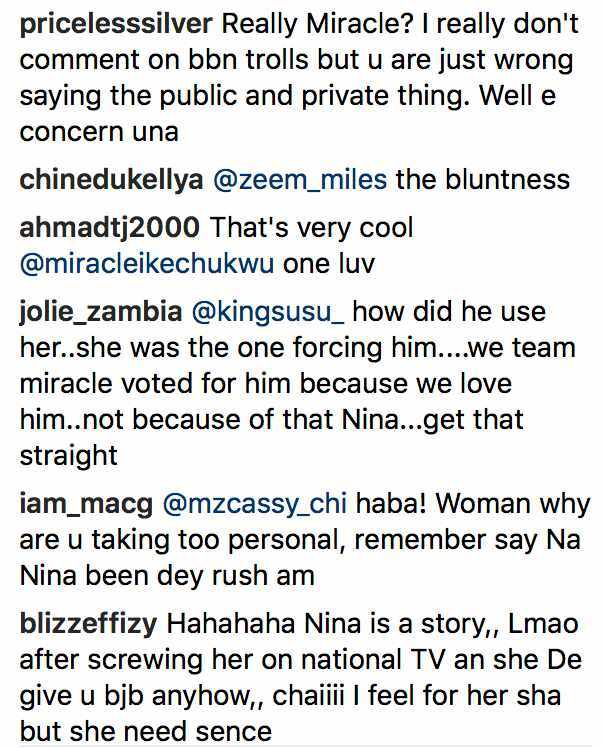 or what is Nina?